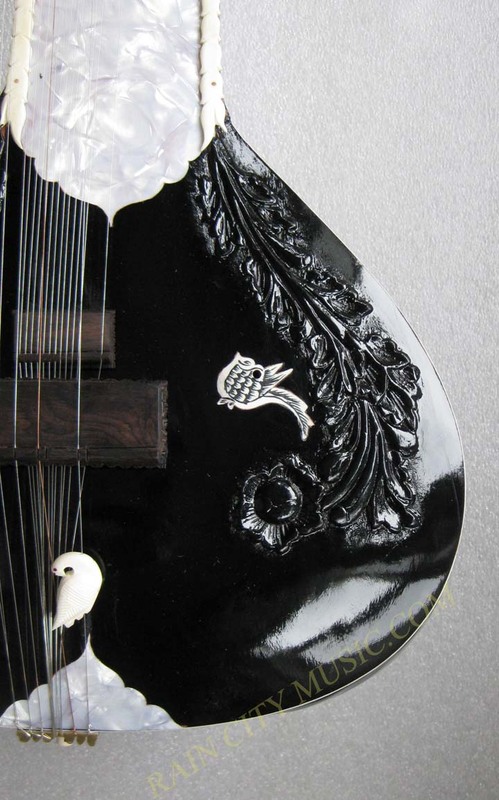 Naeem Sitarmaker Shahid Parvez style sitar ~ gandhar pancham setting. 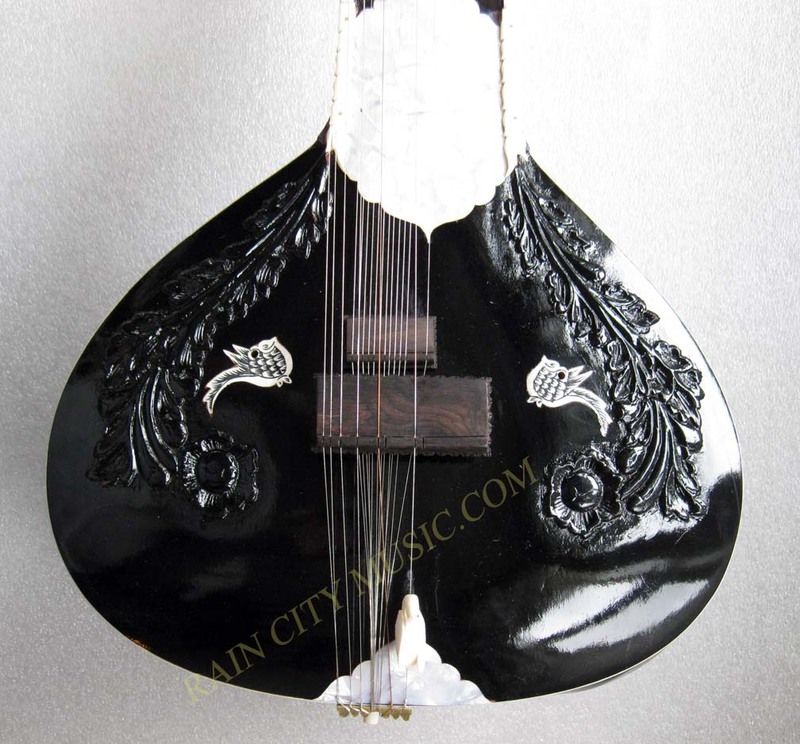 Made from aged mahogany and gourd from Maharashtra. 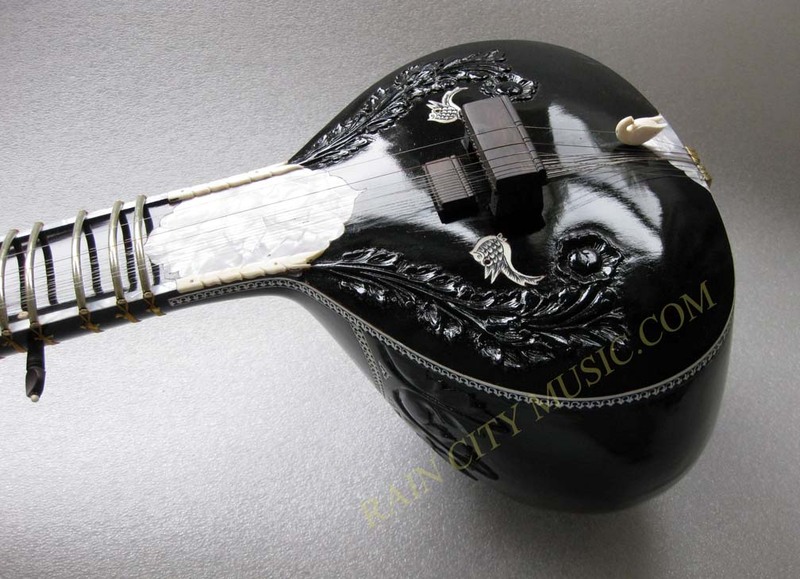 A 13.5 inch tabli gives this sitar a nice presence and it functions well with both soft and hard touch. 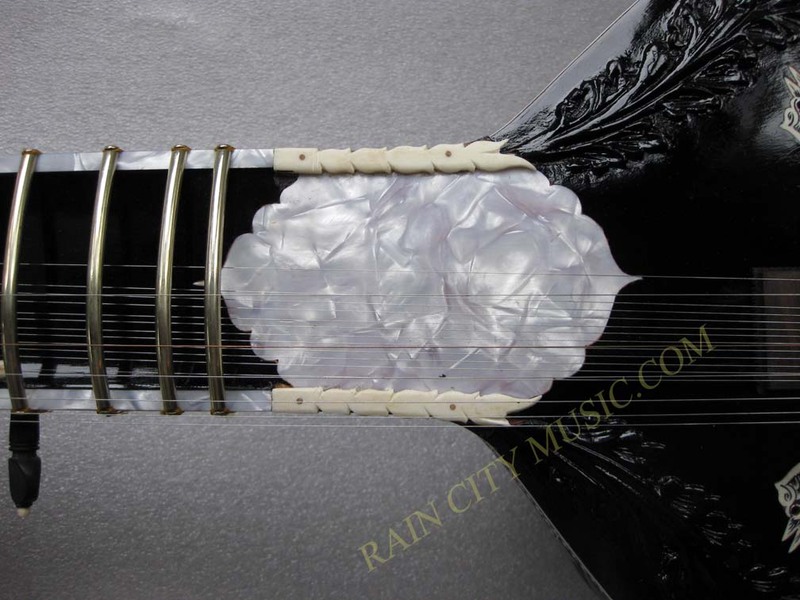 The bridges are both ebony, main has double slots for 1st and 2nd string, . 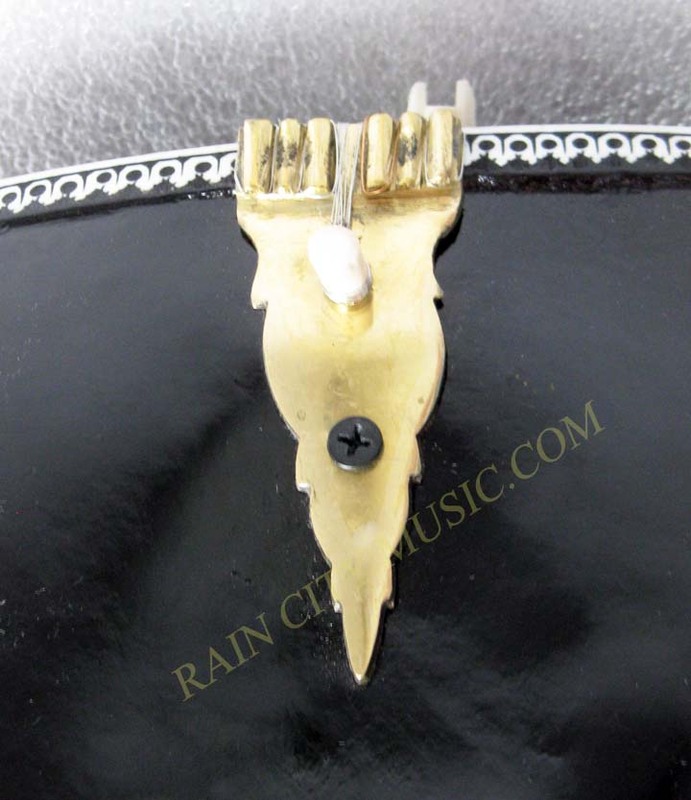 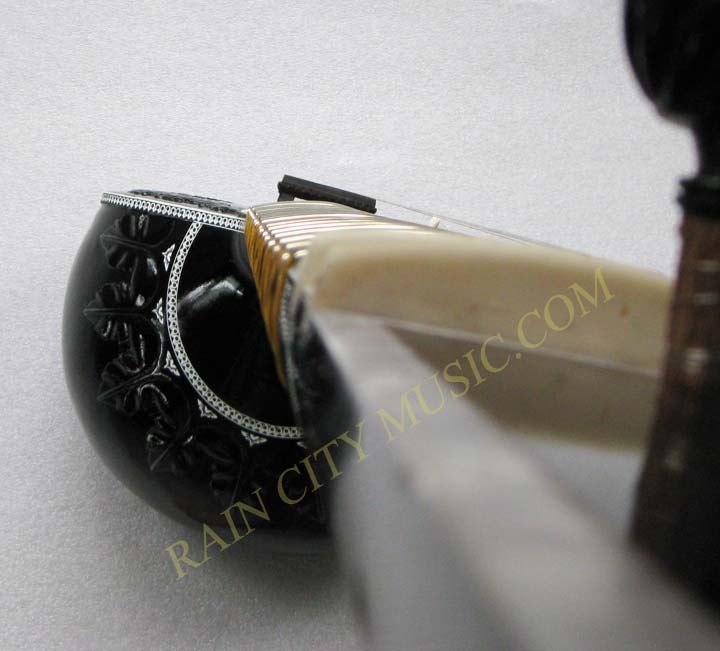 Mother of Pearl inlay and modern style grommets. 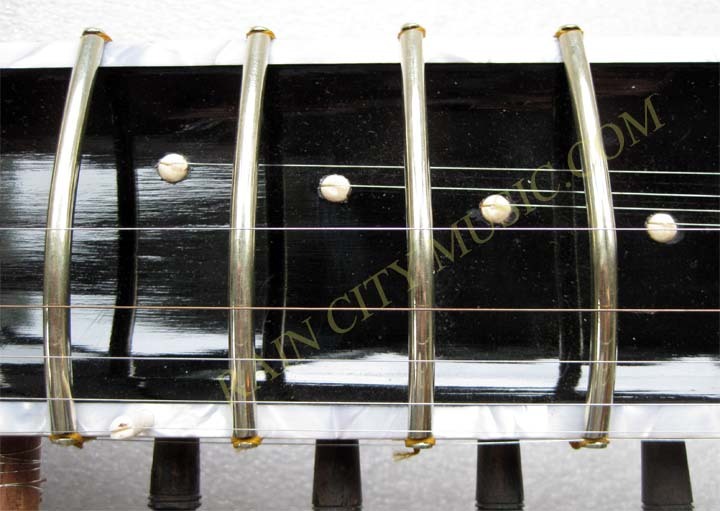 Brass langot for trouble free playing....Nice action, easy to play and a balanced tone slightly nasal and perfect for this style of sitar. 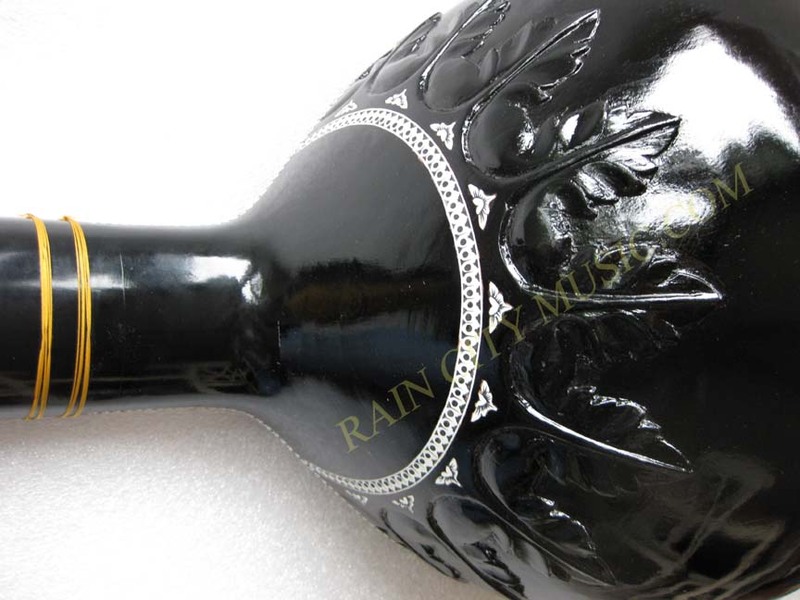 It has an extremely black finish so hard for the pictures to do it justice. 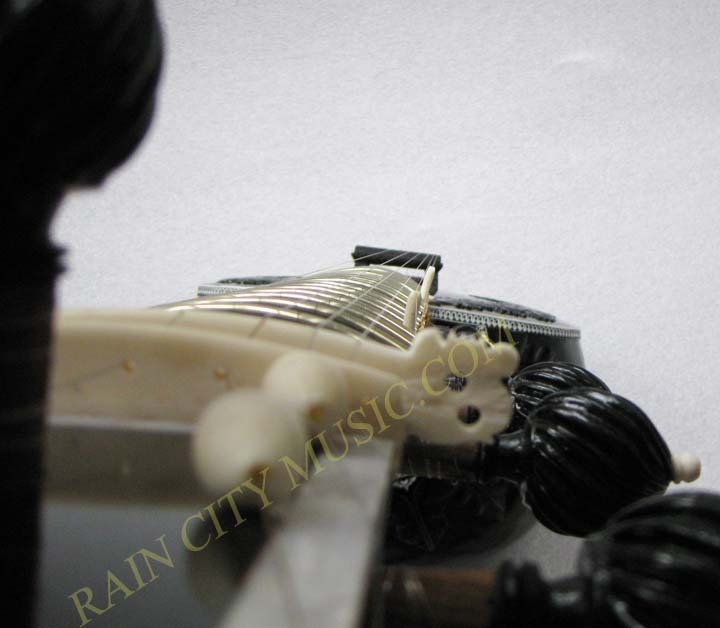 Suitable for D tuning, solid build with proper thicknesses. 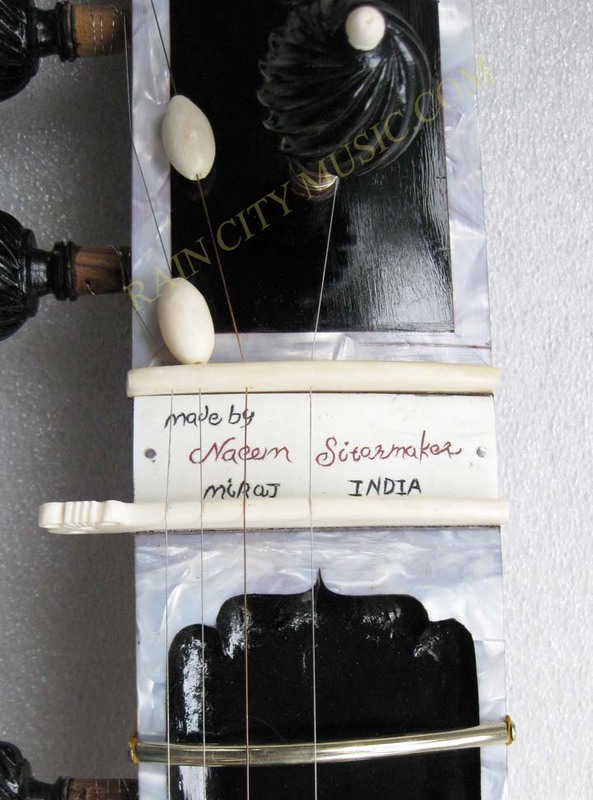 Naeem comes from the oldest family of instrument makers in Miraj and makes a wide variety of instruments. 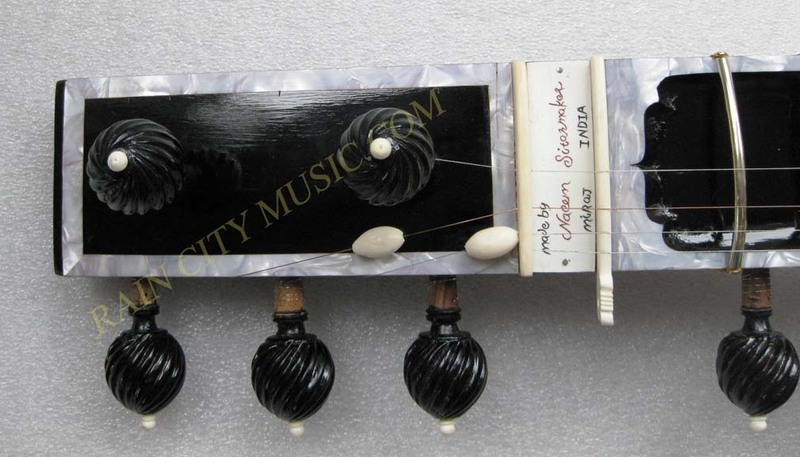 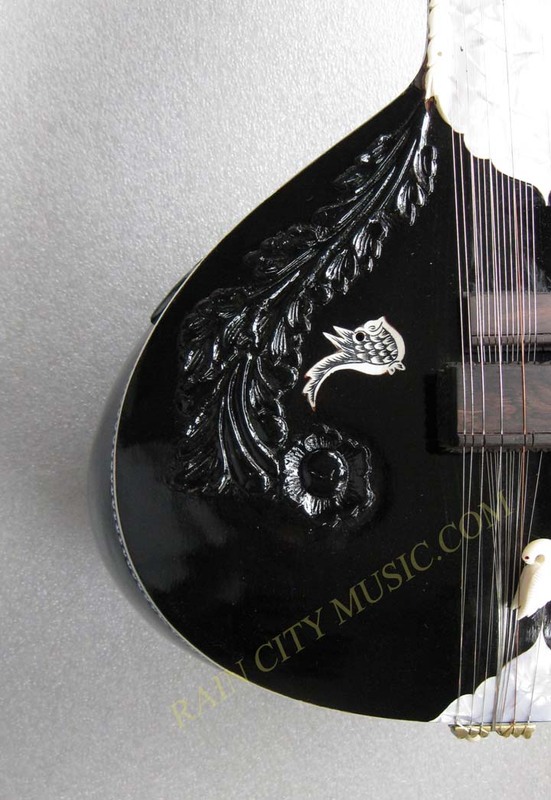 This sitar has been expertly fitted and air shipped (as are all of our instruments) to preserve its quality and includes a nice fiberglass case. 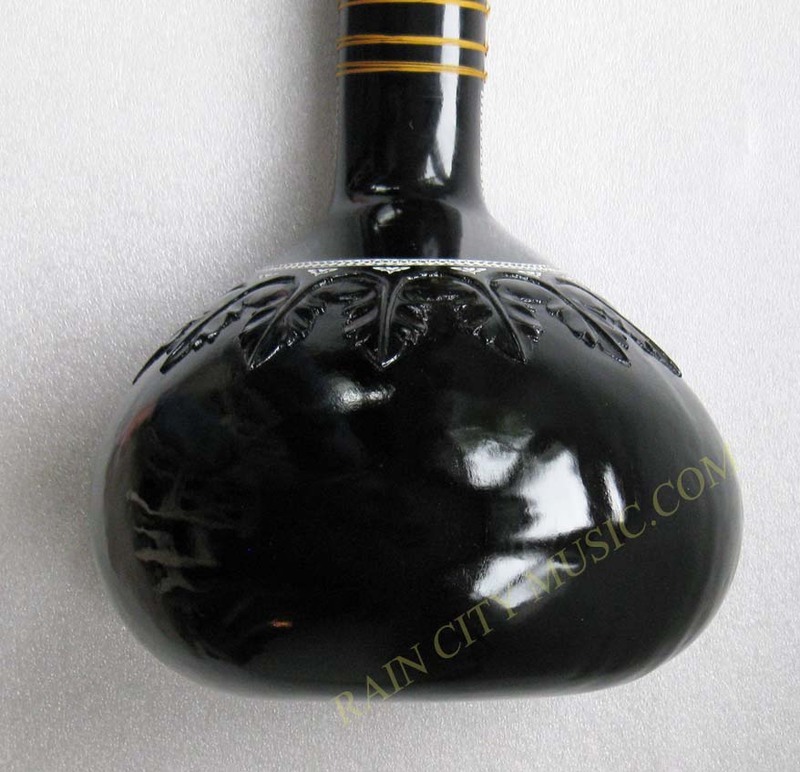 Please consider this if comparing to other instruments.